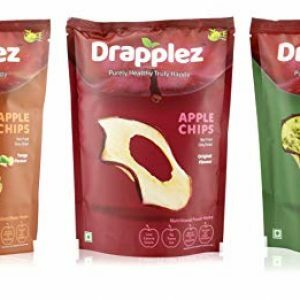 With the growing use of internet on mobile devices, the number of connected devices has multiplied significantly at our homes. A Wi-Fi router proves to be a wise addition to your home’s wired internet connection which can extend the network connectivity to almost all your devices while also reducing your dependence on unreliable mobile data connection. Be it your PC, smartphone, tablet, smart TV, or even your smart-home devices, a Wi-Fi router will help provide internet access to all your connected devices. Here some of the best Wi-Fi routers that you can purchase without having to dig a hole in your pocket. 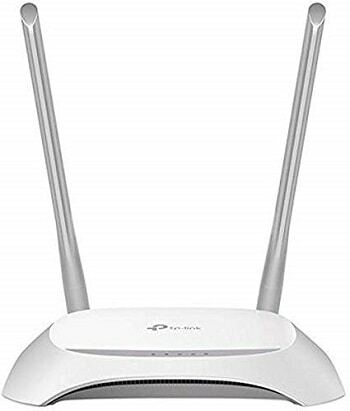 1) At a slightly lower price, TP-Link offers this Wi-Fi router that comes with a dual-antenna setup which are high-performance ones for a better coverage throughout your house. 2) The router has a compact design and is capable of handling up to 300Mbps of maximum speed. 3) Of this bandwidth, the admin can choose to limit the bandwidth allotted to individual devices. 4) Like many other offerings from the company, this router too supports prominent features like parental control for families with kids along with guest mode to safely share network access with your guests. 5) A 1+4 port selection is also found on this router with one input WAN port along with four LAN ports for data output. 1) This is a classic Wi-Fi router from the company which has continued being user-favourite for years now and it still is one of the best entry-level routers in the market. 2) The two antennae are designed by TP-Link for better coverage in your house and to provide optimum speed in every corner of your place. 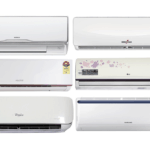 3) You can rest assured as the router is compatible with most prominent ISPs in India. 4) Having said that, the antennae can also support multiple connected devices simultaneously without compromising on the internet speed. 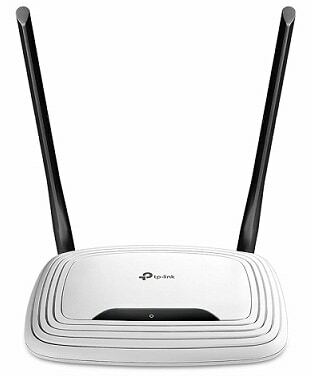 5) TP-Link also allows this router to be used as a repeater which will further extend the Wi-Fi coverage in your house if there are some blackspots. 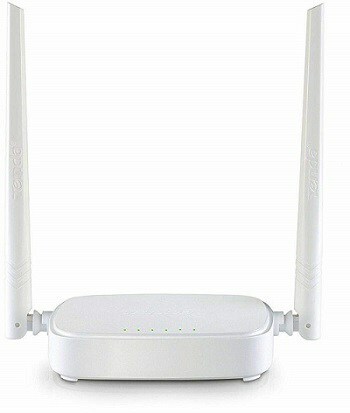 6) The router has the same 1+4 WAN and LAN ports and supports up to 300Mbps speed on the 2.4GHz frequency band. 1) Similar to many other offerings in this price range, this router from D-Link brings a basic set of features to the table that is ideal for a product of its category. 2) The company has an easy to use setup wizard using which you can set the router up and also alter its settings to better the wireless performance. 3) D-Link employs a host of security measures to keep your network safe from intruders and ensures the safety of your privacy. 4) While being compatible with most of the Indian service providers, you can get a speed of up to 300Mbps and the router can share it with multiple connected laptops and smartphones at a single time. 1) A really compact yet powerful Wi-Fi router, Tenda has made a marvel of a product in this category that probably has the smallest footprint of all products in this list. 2) Its compact design couldn’t withhold the company from including two external antennae that are necessary for adequate network coverage in houses with lots of walls. In terms of operation as well, no compromises have been made. 3) Over at the back, a set of four ports have been included, one for WAN input and the other three for LAN input. 4) You can use these ports to provide a wired internet access to devices like desktop PC, smart TV, and even gaming consoles. 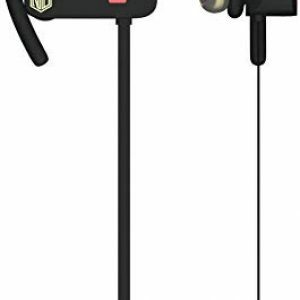 5) The product supports the latest wireless standards and can handle up to 300Mbps of internet speed. 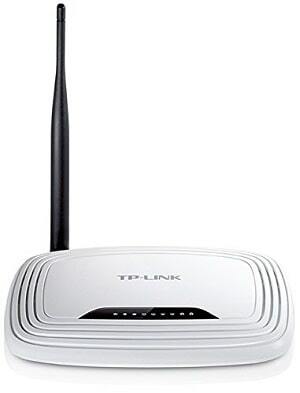 1) For your wireless internet needs, you can easily trust on TP-Link as a brand that is known worldwide for its best-in-class Wi-Fi routers. 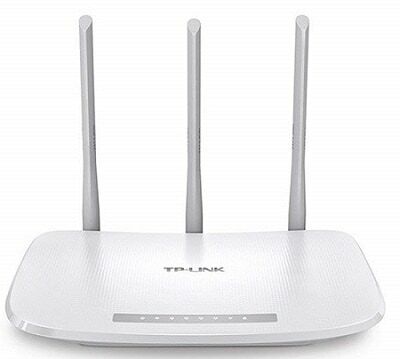 2) Available at a reasonable price, this Wi-Fi router includes three antennae which will make the Wi-Fi signals reach the farthest corners of your house even with multiple walls in-between. 3) A modern design adds to the overall look of the router. 4) In terms of ports, you will find a WAN port to connect the incoming network cable, while a total of four LAN ports are included to help you connect multiple devices in your home that must need a wired connection for a better operation. 5) The router allows for powerful features like parental control and guest network access and you can easily set up the router using an intuitive web interface or a smartphone app. 1) For an even more affordable router, you can look at the Dir-600M from D-Link which includes many features from its higher-priced counterparts to offer a great experience. 2) It has a single external antenna that should be enough for most houses for providing optimum coverage of Wi-Fi signals around your place. 3) The front panel includes a series of LED indicators to let you know of the router’s working state. 4) Towards the back, you will find one line-in port along with four line-out ports to connect other devices for a wired internet access. 5) The router is capable of handling up to 150Mbps of internet speeds, should your internet connection support such high speeds, and it is compatible with most India ISPs. 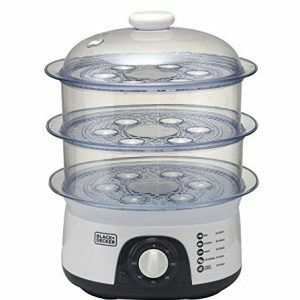 6) The company is offering a warranty of 3 years with this product. 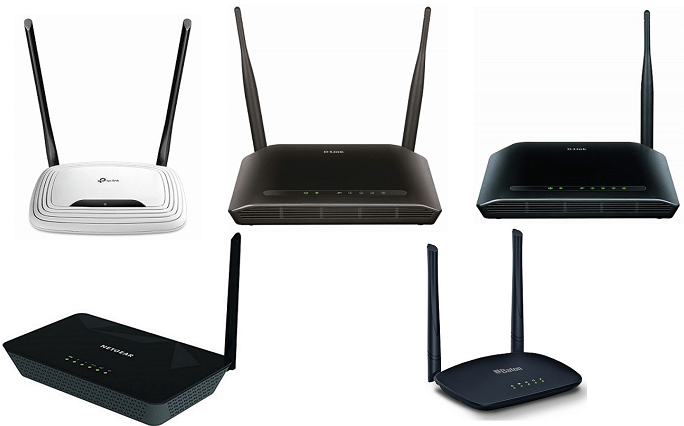 1) This list includes a number of TP-Link products and it shows how good quality their routers are when it comes to in-house use. 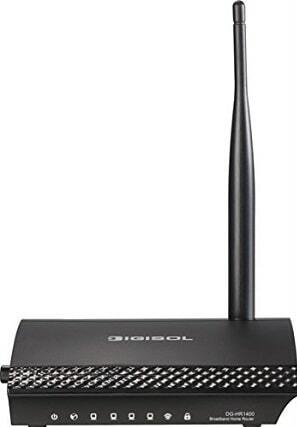 2) Coming to the router, this model is a lower-priced variant of other models mentioned in the list, especially because it includes a single antenna for Wi-Fi signal transmission. 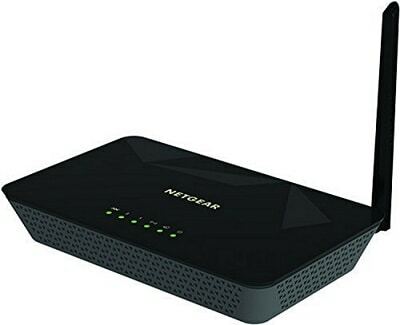 3) Besides this, a maximum of 150Mbps internet connection is supported by this budget router. 4) With that, the router supports some of the newer Wi-Fi standards to maintain such high speeds even when multiple devices are connected at the same time and even in the farthest locations. 5) Like other TP-Link products, you can easily limit the bandwidth given to each device and use parental control features as well. 1) Probably, this product from Netgear is the most versatile router in this list considering it also houses a modem. 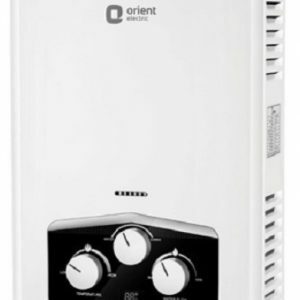 2) This will allow you to use this single machine and directly connect your internet cable, while other routers require you to have a separate modem installed. 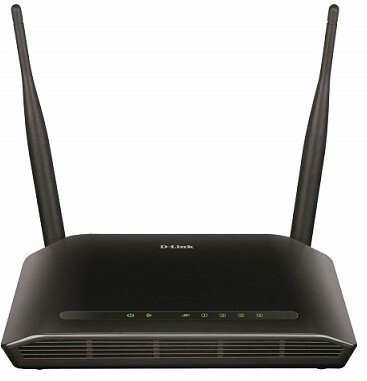 3) It has DSL modem built-in that supports ADSL2+ for faster internet speeds. 4) Moreover, this is a router to look at given its attractive design that wouldn’t be an eyesore when placed in your room. 5) It supports both fibre and DSL connections and will work with any of the top internet providers in the country. 6) A browser-based interface will allow you to set up the router and control it while it can support up to 150Mbps of internet speeds. 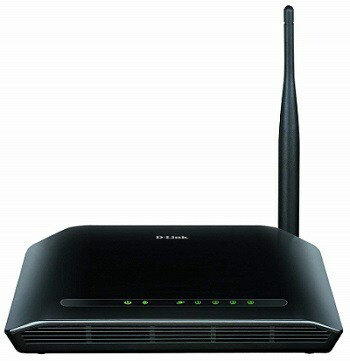 1) Coming from an Indian brand iBall, this router is truly versatile and offers an amazing value for your money. 2) It is a compact router and includes a pair of antennae on its back for ensuring excellent Wi-Fi coverage across all rooms in your house. 3) It runs using the advanced MIMO technology and latest Wi-Fi standards to offer the maximum possible internet speed. 4) A maximum of 300Mbps of internet speed is supported by this router, though it will largely depend on your internet provider. 5) Over at the back, you will find one WAN port along with two LAN ports and on the front, there are some LED indicators. 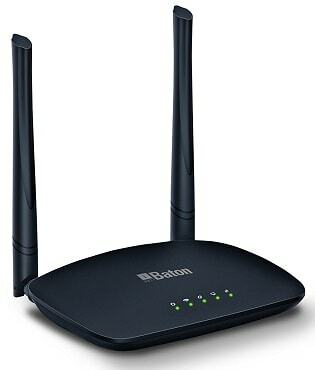 6) Like many other routers, this one can also be used as a Wi-Fi repeater for your existing connection to boost signals in certain blackspots. 1) If you are looking for something compact for being placed in your room then Digisol has a router that should perfectly suit your need. 2) This router offers a small footprint while maintaining respectable performance levels both in terms of internet speeds and Wi-Fi coverage. 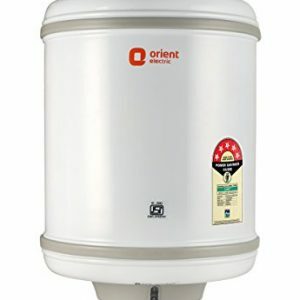 3) It has a high-gain single antenna that is good enough for most small to medium-sized homes. 4) Ensuring better ergonomics, the company has included the controls towards the side of the router for an easier reachability, while the WAN and LAN connections are on the back itself. 5) On the front, there are indicator lights to show you the live status of the connection. It supports up to 150Mbps speed and offers a number of security solutions to keep your connection safe.